“How the heck do I monetise this website I bought?”, this question has been asked at multiple Flippa meetups this year. 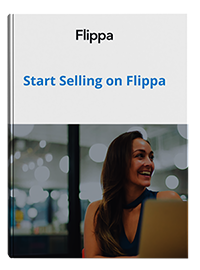 It’s a fair question too, especially as some buyers have little experience in running web businesses – and buying a website on Flippa is their first shot. You probably didn’t buy a website so that you could make an extra few hundred each month. You bought it so that you could make thousands or tens of thousands each month. We want to help you achieve it. And this guide will teach you how to do just that. It’s a big guide, so big that it’s been split into two parts for readability. In part 1, we’ll look at some of the more traditional methods that have been around for a long time. Strap yourself in! Advertising is the most basic form of monetization online. Readers come to your site, they see an interesting ad on your site, they click the ad, and you get paid. Easy! While extremely quick and easy to set up, ads aren’t always the most effective way to monetize. You need a lot of traffic hitting your site to make a decent amount of money from ads. This means months of hard work doing content marketing, SEO and social media marketing before you see a decent income. Besides, if you’re getting that much traffic, it would make more sense to try some of the other monetization strategies and make even more money. We’ll come to that later. For now, if you’re bent on monetizing through advertising, start with a Google Adsense account. It’s free and easy to set up. You can then plug in ads in your sidebar, your header, in-content and other places on your site. Another popular ad network is BuySellAds. With BSA you can set up your ad inventory and charge per impression. They have thousands of advertisers looking for targeted sites like yours, and if you get good traffic you can charge a premium. Finally, you can skip the networks and brokers and just contact advertisers yourself in what is commonly known as a private ad sale. Again, you’ll need a decent amount of traffic so that you have negotiating power. Then you can simply charge a fixed amount per month to place their banner on your site. Thinking about buying? View websites for sale with an advertising monetization method. Paid content is getting a third party to pay you to publish their content on your site. It’s basically like accepting guest posts, except you’re charging people for it. In this case the third party, or advertiser, will write a post for your site in the hopes that your readers will see it and try to find out more about the topic or author. So you’ll have to add a byline for the post letting readers know it’s sponsored content and who sponsored it. As with advertising, you’ll need a decent amount of traffic before you can start charging people to publish their content on your site. No one will pay you if their post is only going to be seen by a handful of people. The good thing about paid posts is that you get your blog updated and you get paid at the same time. Theoretically, you could just keep accepting a new paid post every day to maximize income, but you need to make sure the content isn’t too promotional or your readership will dwindle. Affiliate marketing is all about promoting someone else’s products. It’s kind of like advertising, except you can carefully pick and choose which products you want to promote. It’s very easy to get started as an affiliate marketer. Head to sites like Commission Junction, Share a Sale or ClickBank to find thousands of existing products. You can then sign up as an affiliate for the ones you like and get a custom affiliate link for each product. Next head back to your site and write a post or create a banner with your custom link. When someone clicks on the link and buys the product you get paid a commission. Again, try not to alienate your readers by pressing all these products on to them. The best way to market it is to not market it at all. By that I mean don’t be a sleazy salesman. Use the products you’re an affiliate of, write honest reviews and let your readers know what you think. You can make a fair amount of money as an affiliate marketer. You can even bypass the middlemen sites and go directly to the company and sign up as an affiliate. That way you get higher commissions. However, to get to the stage where you’re making thousands you’ll need to build up a large, dedicated and trusting readership. Only when your readers trust you and your judgment will they start purchasing products that you recommend. View websites for sale with an affiliate monetization method. Lead Generation is similar to affiliate marketing except you get paid for leads rather than purchases. For example, in affiliate marketing, when a visitor to your site clicks on an affiliate link, you only get paid if that visitor purchases something on the site you’re an affiliate of. In lead generation, you get paid regardless. Of course nothing comes for free. Typically you’d get paid less for a lead than for a sale. However, lead generation is more scalable in that you can send the same lead to multiple companies and get paid for them all. If you’ve used insurance comparison sites you’ll know how this works. You go to the site and enter your details and e-mail address for a quote. Now the comparison site has lead generation deals with a bunch of different insurance companies. All they have to do is pass on your information to relevant companies and they get paid for each lead. To make lead generation work you’ll need a readership of qualified buyers. That way the companies you pass the leads on to will have a higher chance of converting them and will get more value from your partnership. A classic business model that’s been taken online with the widespread use of the internet and the numerous free communication tools. Now you aren’t restricted to finding clients in your area. You can provide services to people in North America while sipping coconut juice on a beach in Bali. Some of the most popular services are web design, web development, online marketing and content writing, to name a few. You can create a service out of just about anything. Remember, if you already have an established website with readers, don’t be afraid to ask them what problem they face. You want to take advantage of that existing readership and create a service tailor-made for them. That makes it more likely they’ll hire you. View websites for sale with a services monetization method. Consulting is like a service in that you trade time for money, but it gives you higher returns. For example, if I had an online marketing service, I’d spend time marketing my client’s site. On the other hand, an online marketing consultation would involve me getting on a Skype call with a client and creating a custom marketing strategy, which she then implements herself. If you can promote yourself as an expert in your field you can charge a lot for consultations. I’m talking hundreds or thousands of dollars for an hour of work Some companies might even want to fly you out to their conferences to give a talk, all expenses paid! Of course, it’s not easy to get to that stage. You’ll need to put in a lot of hard work and build up credibility before you can get to that stage. This is definitely not a monetization strategy if you’re just starting out, but it can become one later. That’s it for part 1 of the monetization series. In the next part we’ll look at some of the more recent monetization strategies. These strategies have started becoming popular in recent years and if you get in on the trend now you could get ahead of the competition. In the meantime, whet your appetite with these live auctions on Flippa! Content provided by Siddharth Bharath.